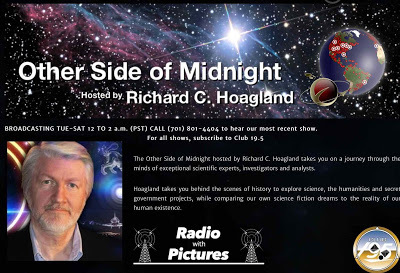 This episode concludes my interview with Richard Hoagland, host of The Other Side of Midnight radio show. We discuss the bankster usury empire; why psychopaths rise to positions of power; questions of staged shootings and crisis actors; how Edward Bernays brainwashed Americans into jumping into World War I, and how his successors have continued to stampede us into wars; the Matthew Shepard case in which a completely false story of nonexistent “homophobia” was mendaciously superimposed on a gay-on-gay drug murder; the radically un-Islamic nature of almost all “Islamic terrorists”; and we take some calls. This show was broadcast on July 13, 2016. This entry was posted on Monday, July 11th, 2016 at 9:00 pm	and is filed under Anti-War, Censorship-Propaganda, Disaster Capitalism, Econo, Education, False Flag/Fake Terror, Freedom, Human Rights, Kevin Barrett, News, Protest, War Crimes. You can follow any responses to this entry through the RSS 2.0 feed.